We are preparing the Event for upcoming Happy Winter. [Event 01] Happy Winter Event ! - If you disassemble the 'Armor of Undine', you can obtain the upper grade's Item. - If you disassemble the upper grade's Item, you can obtain the 'Box of secret of Undine' booster. 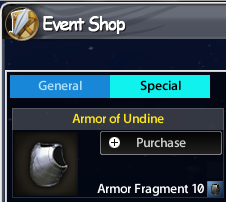 - During the event period, you can exchange the 'Armor of Undine fragment' with the '[P]Armor of Undine' via event shop. - During the event period, the event Gacha is added to event shop. 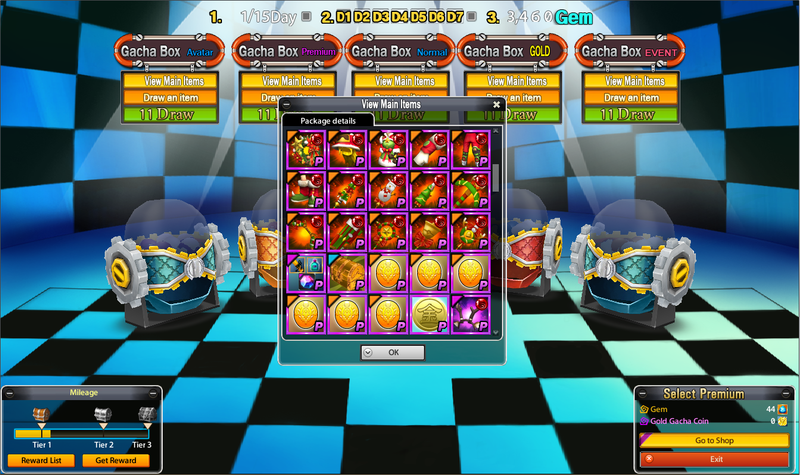 - You can obtain from the Christmas avatar item to jackpot gold! - During the event period, the double drop rate event will be held every weekend. The event will last 1 hour and proceed twice each day. Please check the detailed time below.